Steve Zimmerman is a highly sought after Restaurant Expert Witness and consultant for Restaurants, Bars, Nightclubs and the Hospitality Industry. Steve has extensive experience as an expert witness and works regularly with many attorneys and the courts regarding valuations, leases and acquisition and disposition matters. 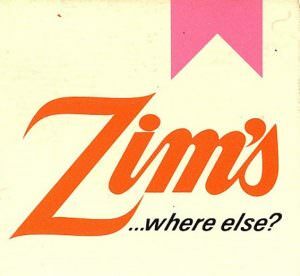 With over 20 years experience as President and Chief Executive officer of Zim’s Restaurants, one of the largest privately owned restaurant chains in the San Francisco Bay Area, Steve has ground level experience in restaurant operations. 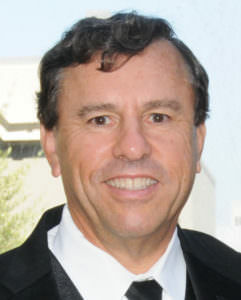 Since 1996, Steve has been operating Restaurant Realty Company with agents and brokers throughout California. He has personally sold/leased over 1000 restaurant, bar or club businesses, sold many related commercial buildings and completed over 3,000 restaurant valuations since 1996. His real estate experience also includes sales, acquisitions, management and ownership of numerous properties throughout California including restaurants, hotels, apartment buildings, single family homes, an office building and a multi-use retail building. 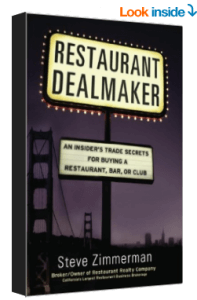 Steve is also the author of Restaurant Dealmaker – An Insider’s Trade Secrets for Buying a Restaurant, Bar or Club available on Amazon. Steve is a graduate of Cornell University’s School of Hotel Administration and University of San Francisco’s School of Business. He holds a California State Real Estate Brokers License (License #01310250) and a State of California College Teaching Certificate. (3) the Mergers and Acquisitions Mastery Intermediary (M&AMI) designation awarded by the Mergers and Acquisitions Source (M&A Source). Steve was awarded the Fellow of IBBA (FIBBA) for his leadership role in teaching courses and conducting workshops at IBBA educational events and he has been a Co-Star Power Broker recipient for multiple years. Lastly, Steve currently teaches the CABB Principles of Business Brokerage and IBBA Restaurant Sales, Valuation and Lease Analysis Course to real estate agents and brokers.